Sometimes things don't work as planned! Someone once said "The great thing about a GCHP system is its simplicity...the worst thing about them is their complexity!" An apt description. None of the steps in designing and installing a GCHP system is complex, but a designer has to pay attention to the details. Possibly the design was inappropriate. Perhaps the contractors didn't install the system as specified. A GCHP systems, like any other system, may not work as expected or fail catastrophically. With over 30 years working in different aspects of the industry, we've found many ways that don't work...and some that do! We can help you and your design team avoid the same mistakes. 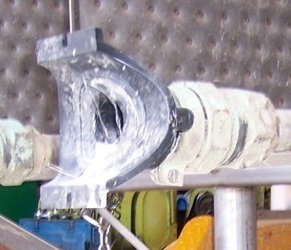 An example of an unfortunate series of events during the construction of a school project, that individually would not have created a problem, but combined, caused the catastrophic failure of a surface water heat exchanger and shut down the system. 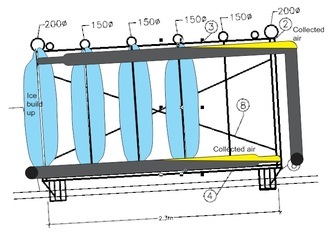 The design of the header on the lake exchanger plates made if virtually impossible to remove all the air from the lake exchanger modules. Some of the individual lake exchanger plates were blocked by air. More energy was removed from the water by the remaining plates, causing ice to build. 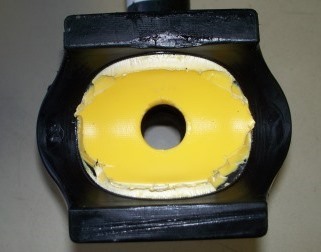 Electro-fusion fittings connecting lake exchanger plates to the headers were not well cleaned before fusion, creating weak joints. Inadequate weight was added to the lake exchanger modules, allowing them to lift from the lake bottom when ice built on the plates. The system was put into operation before the building was completed and before control system was commissioned. The heat pumps were simply activated without proper control, allowing too much heat to be extracted from the water, causing ice to build on the lake exchanger plates. Back up auxiliary heat was not commissioned and couldn't prevent ice build up on plates. Enough ice finally built on the lake exchanger plates, creating enough buoyancy to lift the lake exchanger modules from the lake bottom, causing enough stress on the weak fusion joints to break them, allowing the heat transfer fluid to leak and shut down the system. 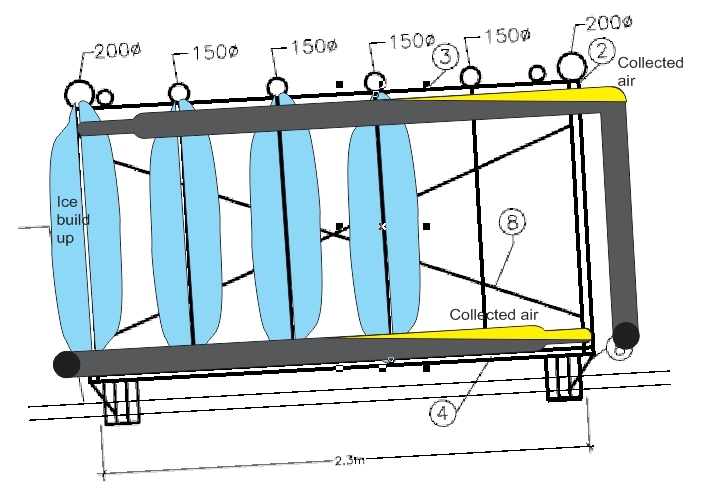 The GHX designer, GHX installation contractor, mechanical contractor, general contractor and controls contractor could all share some of the blame for the failure of the surface water heat exchanger. Working with an electro-fusion fitting manufacturer and stainless steel lake exchanger manufacturer, it was possible to determine, with reasonable certainty, the cause of the failure. GEOptimize can work with you to determine the cause of GCHP system problems and help arrive at a cost-effective solution to remedy the problems. Better yet, we can work with you to provide an assessment of a proposed project and to provide training workshops for designers, contractors and system operators that can avoid the problems in the first place.